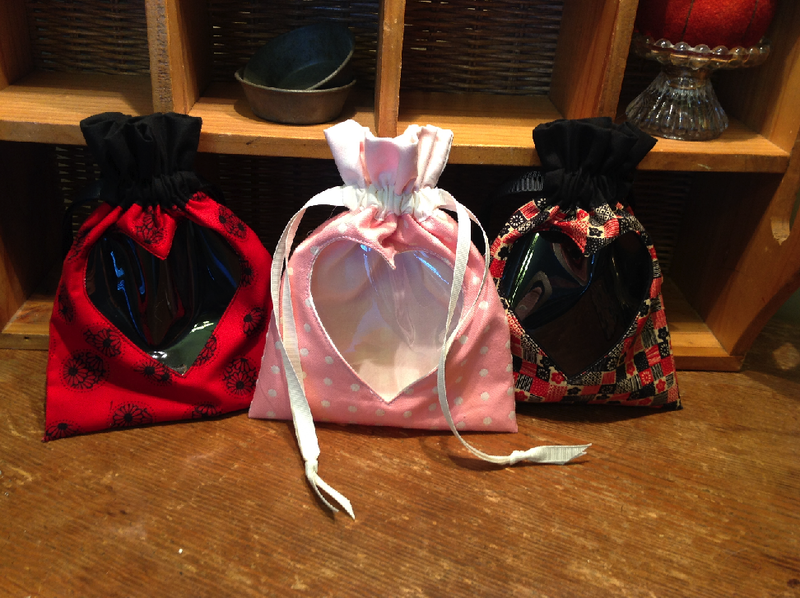 I found the tutorial for these drawstring pouches at Twinkle and Twine. They are so cute and very easy to make. I made six in one afternoon, I could have made more, but ran out of vinyl for the windows. The tutorial has great directions, even for beginners. I plan to make these with other cut-out shapes for different occasions – a baby rattle, christmas tree, cupcake, and so on. I’m even going to make one with a thimble, of course! This entry was posted in Fabric, Gift Ideas, Holidays, Purses and Totes, Sewing, Stashbusters, Tutorials. Bookmark the permalink. Very cute and can used for tons of occasions! Well done. Wonder where that idea came from. Very good!!!!!!!!!!!!!! !